Will My New Water Feature Attract More Mosquitoes? Choosing a water feature contractor in Grand Rapids can be either a difficult or easy choice. It all depends on your style, design preference, and budget. We’ve chosen our top three water feature contractors in Grand Rapids to try and make your life a little easier! This is a reputable company out of Rockford that does a little bit of everything; landscape, hardscapes, and water features. They specialize in the more formal looking pond. If this is what you are in search of, they might be a good option for you. This company has been in business for a while now. We have seem some of their work, and from what we have seen, it looks that they specialize in more of the pondless waterfalls as well as other smaller features. 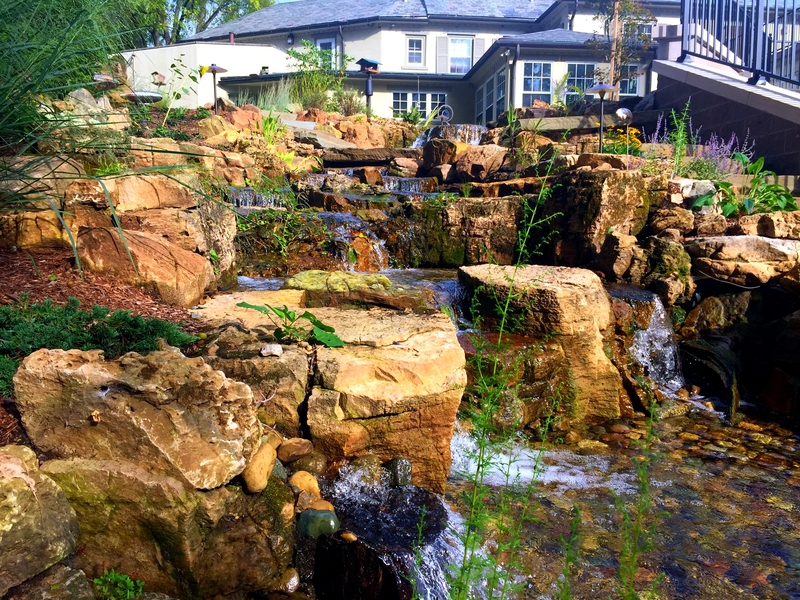 We are not entirely sure if they use Aquascape products, if that is not a concern, this Grand Rapids water feature contractor may be worth checking out. This is more of your all around company. Their focus is more on maintaining the whole property, but they do still build water features. Since this company has experience in maintaining property, they may be worth checking out. One thing to note is that none of the aforementioned water feature contractors in Grand Rapids seem to have a true natural look to their water features. 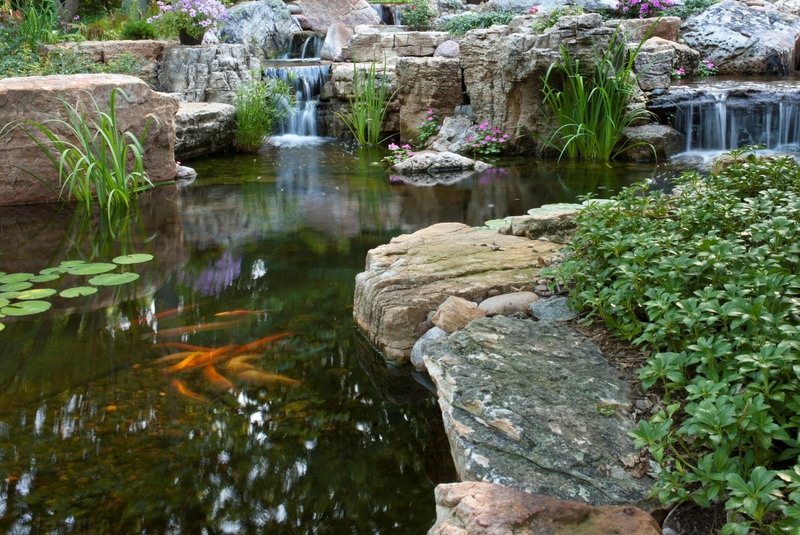 Some homeowners may not want a natural looking pond, and that’s okay. 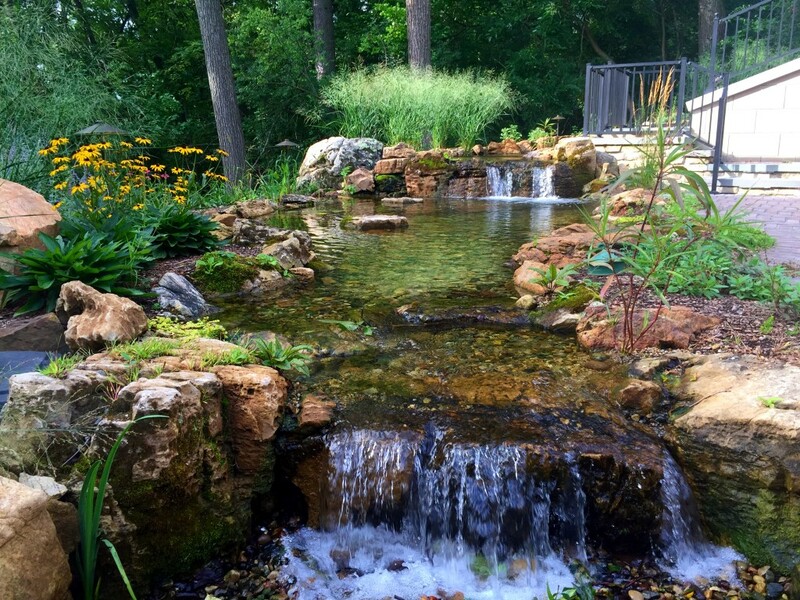 R&A Water Features & Landscaping prides itself on creating natural looking ponds and waterfalls. Imagine going on a hike in the mountains (or woods around here) and coming up to a waterfall, stream, or pond; these types of natural looking water features have no formal look, with no rhyme or reason in their flow or design. This is what makes them beautiful. Overall, however, these water feature contractors in Grand Rapids do build sustainable water features, which puts them in our top three. In the end, it really just comes down to your individual preference in design, function, and feel. We always suggest looking at the portfolios of any pond builder, and even going in person to some of the previous projects so you can determine for yourself, which type of pond, waterfall, or other water feature you like best. If you’re looking for a water feature contractor in Grand Rapids, make sure to check us out on Houzz, Facebook, Google+, Pinterest, Twitter, YouTube, and don’t forget to check out some of our previous projects too! If you have additional questions or your ready to start your project, contact us today, or check out Ponds 101, to get answers to some of the most frequently asked questions.